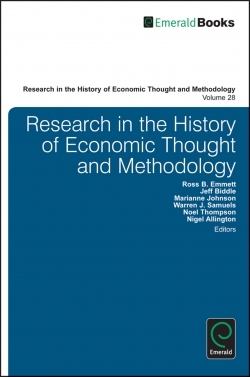 This Book Set consists of: *9780857240590 - Research in the History of Economic Thought and Methodology: A Research Annual (Part A) *9780857240613 - English, Irish and Subversives Among the Dismal Scientists (Part B) *9780857240637 - Economic Theory by Taussig, Young, and Carver at Harvard (Part C) "Research in the History of Economic Thought and Methodology" is an annual research series which presents three annual volumes in two fields: the history of economic thought and the methodology of economics. Volume 28 features: commissioned essays on important, but often neglected, Irish and English economists of the 18th and 19th centuries. Notes taken by a student, Maurice Beck Hexter, in Economics 11-12, 'Economic Theory', given by Frank William Taussig at Harvard during the academic year 1921-1922. The notes are accompanied by additional essays on how the notes relate to broader economic thinking of this period. And various papers covering a plethora of research covering the role of western economic advisors in China before the Communist Revolution (Paul Trescott), John Ryan on minimum wage legislation, a symposium on Clement Juglar, and a comparison of recent work in the history of economics and the history of science. Plus David Hume's political economy; conceptions of economic morality in American thought, Friedrich Engels, Hayek and conservatism; methodological consideration of economics and econometrics; and, Paul Heyne's essays on economics and ethics. 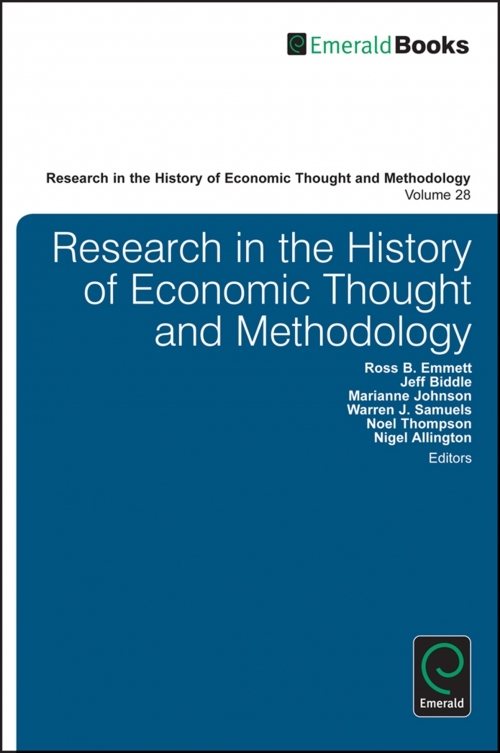 Taken together, the volume offers a substantial contribution to the preservation of economics and economic history.